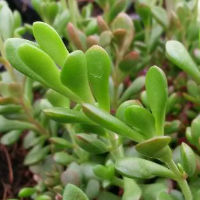 Compact small groundcover with fleshy red tipped leaves. Red buds with white flowers. 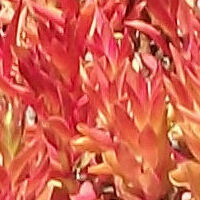 flaming orange red tips. Sometimes the entire plant turns red. 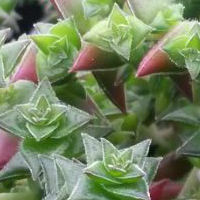 Branching perennial succulent which begins as pink tinged rosettes and later the leaves turn red and becomes pagoda shaped. 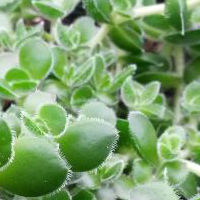 Flat and fleshy, propeller shaped bluish/silver-green leaves that are arranged in overlapping pairs along a usually unbranched stem to form a low growing shrub. 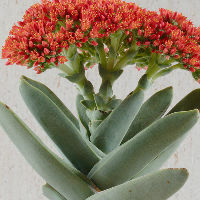 Fiery red flowers appear in rounded showy clumps in summer. 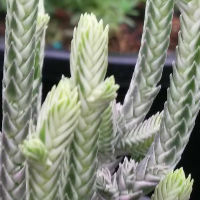 A spreading, multi-branching succulent with thin stems that have very tightly overlaid green and variegated pink/white leaves in a herringbone pattern. 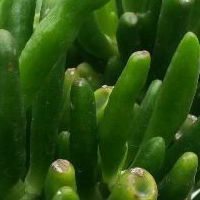 'Gollum' has tubular green leaves that become tinted red along their hollow tips when weather becomes cooler. Small starry white or pinkish flowers provide additional adornment from spring to autumn. 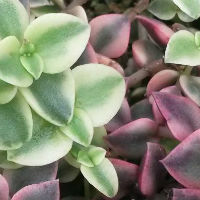 Pink, green and yellow variegated cascading heart-shaped leaves and white flowers.